As promised, I am back to tell you a little bit about Skoop. I was contacted about three weeks ago to see if I’d be interested in trying this product. After checking out their website and ingredient list, I decided to give it a shot. Full Disclosure: I was sent a bag of Skoop B Strong in exchange for a review. Per usual, all opinions are my own. I was not compensated for my time. Let me start off by saying, I prefer to get all of my vitamins and minerals from real food. I’ve never been one to take multi-vitamins or a pill or, for that matter, drink a protein shake. I know that there are people out there who need that something extra, but I personally prefer to eat my nutrients and typically am able to do so without any troubles (and to be honest, I’m not good at REMEMBERING to take a daily vitamin). But…there are times I can’t eat as well or as much I want to…. Like when my husband opens a restaurant. Confession: Since the restaurant opened, I’ve been struggling to eat enough high quality food. Most of my meals are eaten in a hurry, either while I’m driving to work in the morning, hovering over a counter while trying to do six other things at once, or scarfed down on my lunch hour while trying to take care of other items on my to-do list that I no longer have time for after work. I’ve eaten more late night slices of pizza in the last four months than I care to admit… and my body has not been happy about it. Don’t get me wrong, pizza is delicious and portable…but it’s not something I like to eat every day…or even every week for that matter. 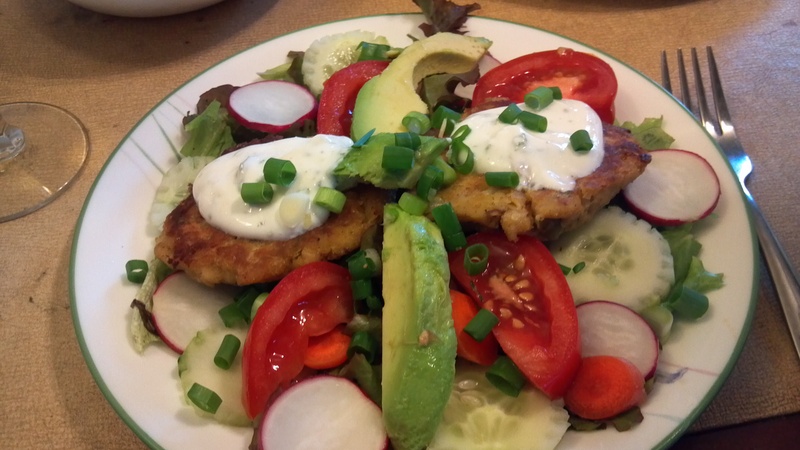 I’d prefer to eat a salad every day… but when you’re running on 4 or 5 hours of sleep and trying to do everything in a hurry, salads are a lot of work. And take a lot of concentration to eat. If you know me personally, you know that I am not someone who can go without eating. If I do, I become an absolutely miserable you-know-what. I’m also not someone who likes to drink their calories…because that never actually keeps you full. Naturally, when I was contacted to check out this product, I was skeptical… but I figured it would be worth it to at least see what they had to offer. So what is Skoop (From their website)? Another plus? They use ingredients I can pronounce. It’s protein powder, but made from REAL foods. “That’s why we partnered with The Chef Ann Foundation, a non-profit that provides real, fresh fruits and veggies to public school lunch programs all over the country – programs that currently need to classify french fries, tomato sauce, and ketchup as vegetables in order to meet FDA standards. So I decided to give it a shot. What did I have to lose? If I hated it, I wouldn’t have wasted any money trying it out. First things first, can I just say, I was absolutely floored when I got the package from Skoop? I was expecting a couple of sample packs … they sent me a whole bag!!! They also sent me five days’ worth of their A-game and a cute little shaker bottle! Wow! I immediately tried the powder with some water to see how it blended. The result? Minimal clumping, no weird chalky aftertaste and a lightly sweet vanilla flavor. I liked the flavor but I could tell right away that it would taste even better with milk. Since then, I’ve been mixing it up with milk (cow, almond or coconut) and if I’m feeling fancy, some cold coffee. I’ve also added it to smoothies (with almond butter, almond milk, banana, spinach or kale and some cacao). My favorite way to drink Skoop is with coconut water, almond milk, cacoa and maca powders. The cacoa gives it a nice chocolate flavor and the maca adds some nuttiness. I also really loved adding the A-Game to my morning smoothie for a double-whammy of nutrients. My next plan is to make some energy bites or some peanut butter cookies with it. So is this worth buying? After having it almost daily for the last few weeks, I would say yes! Definitely! I’ve been drinking Skoop for a quick breakfast or as a snack before going in to work at the bistro and I’ve been full. I feel energized and haven’t had any stomach issues (This is HUGE because, if you’re waiting tables, you don’t have time to run to the bathroom). For a plant based protein, it doesn’t have any weird after-tastes and doesn’t cause any digestion/gas issues (I know you know what I’m talking about). 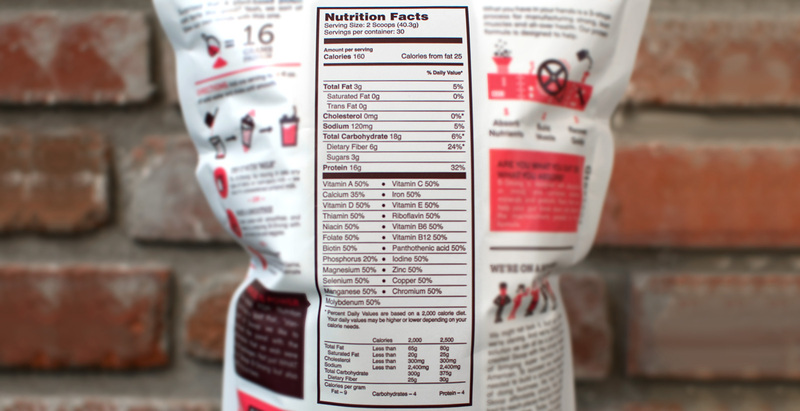 I also love the ingredient list and all of the micro-nutrients. Seriously, look at this! For all of that, a 30 serving bag is $67. Skoop was generous enough to give me a discount code to share with you. Use the code “NOTEBOOK10” at checkout for 10% off your entire purchase. Sidenote: My husband purchased a raw protein/meal replacement around the same time with an equally impressive ingredient list and though I like that one as well, I do notice, I wasn’t as full and had some of the previously mentioned protein farts (sorry, TMI). 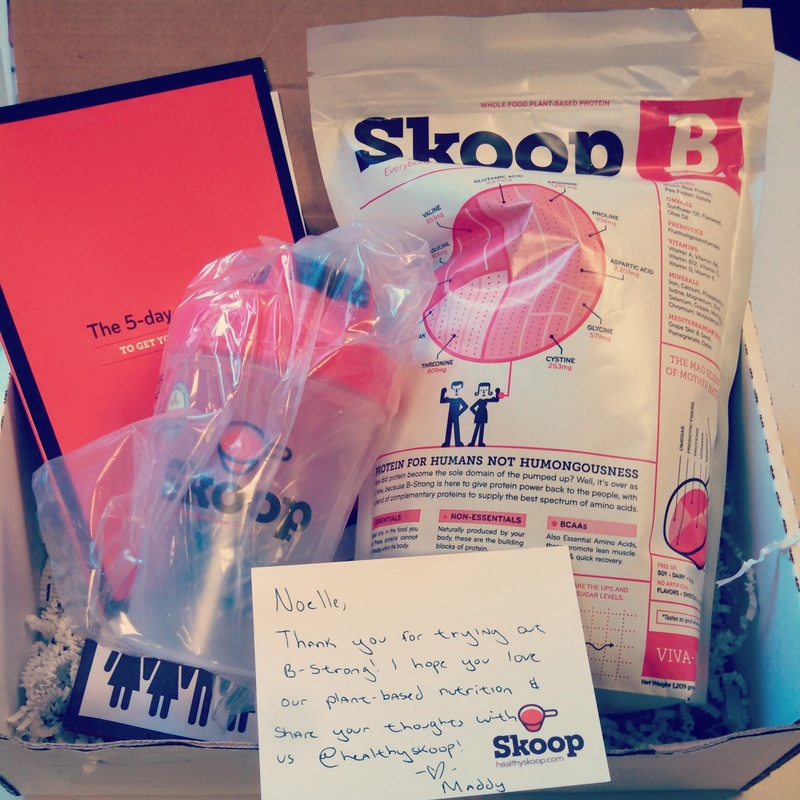 Huge thank you to Skoop for sending me this product!